At Axe Roofing, we’re a specialty contractor that concentrates on top-of-the-line residential, commercial, and multi-family roofing repairs and replacements. Here, we do things ethically and honestly by maintaining full transparency throughout the duration of the project. Furthermore, we specialize in helping our customers navigate the insurance claims process, and we’re able to get our customers the best roof we can for the insurance proceeds allotted. We will take the claim from start to finish, facilitating everything we legally can for our customer. We show up when we say we will, we do what we say we’re going to, and if something goes wrong, we’ll fix it. SELECT ShingleMaster™ (SSM) – This is the top level CertainTeed roofing credential, and represents the highest standards of excellence, quality, and knowledge in the shingle roofing industry. An SSM has shown extensive knowledge of shingle installation and quality through rigorous testing and has provided CertainTeed with proof of workers’ compensation and liability insurance. Only an SSM can offer you the highest level of SureStart PLUS™ extended warranty coverage when an Integrity Roof System is installed on your home, which is just one of the many reasons why homeowners and business owners turn to Axe Roofing. Owens Corning™ Preferred Contractor – Owens Corning Roofing Preferred Contractors are part of an exclusive network of roofing professionals who meet high standards and strict requirements for professionalism and reliability. 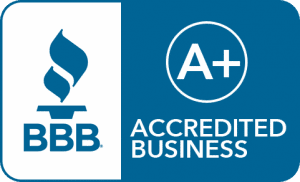 A+ rating with the Better Business Bureau (BBB) – We proudly maintain the highest rating with the BBB by placing a special emphasis on customer satisfaction. With Axe Roofing, you can rest assured we never consider the job done until you’re 100 percent satisfied with the final product. To see for yourself why we are the roofing contractors of choice for so many homeowners in the Denver area, contact Axe Roofing today. And when you do, be sure to ask about the financing options we have available.